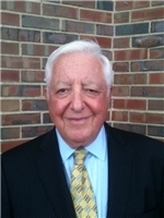 A respected business, family, trusts, estates and wills law firm committed to meeting your legal needs Attorney Stuart T. Edelstein has more than 50 years of legal experience. At Stuart T. Edelstein, Ltd., we skillfully handle your case to move your divorce through the legal process as smoothly as possible, while protecting your assets and upholding your best interests. You can rest assured we will help you achieve a fair resolution in all issues related to the end of your marriage. Aside from family law, we handle business law and have worked with many business owners in matters ranging from liquor licensing to small business representation, business litigation, commercial real estate tax matters and business formation. We can help you with the following areas of the law: Business representation Liquor licensing Business formation Commercial real estate Real estate taxation Divorce and contracts Estate planning Adoption General practice Guardianship and conservatorship Probate Real estate Residential real estate Small business corporations Wills and trusts Business litigation We are committed to providing excellent legal representation and are well known by our peers and clients for our integrity and hard work. We are AV Preeminent Peer Review Rated by Martindale-Hubbell, the highest recognition possible in the legal industry, for our professionalism and ethics. Illinois law firm finds unique solutions for your legal matters No two cases are exactly alike, nor should they be treated the same. We meticulously analyze your case and develop unique solutions tailored to fit your individual needs and those of your family. Whatever you are dealing with, we provide you with legal guidance, negotiate on your behalf, help evaluate your assets, and prepare any settlements, agreements or contracts you may need. By approaching your case from different angles, we help ensure a beneficial resolution for you and your family. We always give you clear advice and create a detailed plan for your legal matters. We answer your questions directly and precisely and keep you informed about the status of your case. Our goal is to bring you and your family peace of mind through personalized attention. Stuart T. Edelstein, Ltd. is available to help you in Illinois Call Stuart T. Edelstein, Ltd. at 312-606-0000 or contact us online to schedule a free consultation.